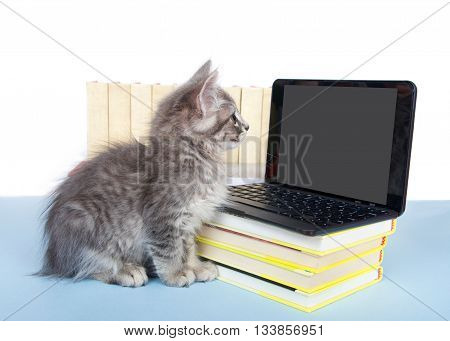 Gray tabby kitten looking at a blank screen on a miniature laptop type computer screen blank for your message. 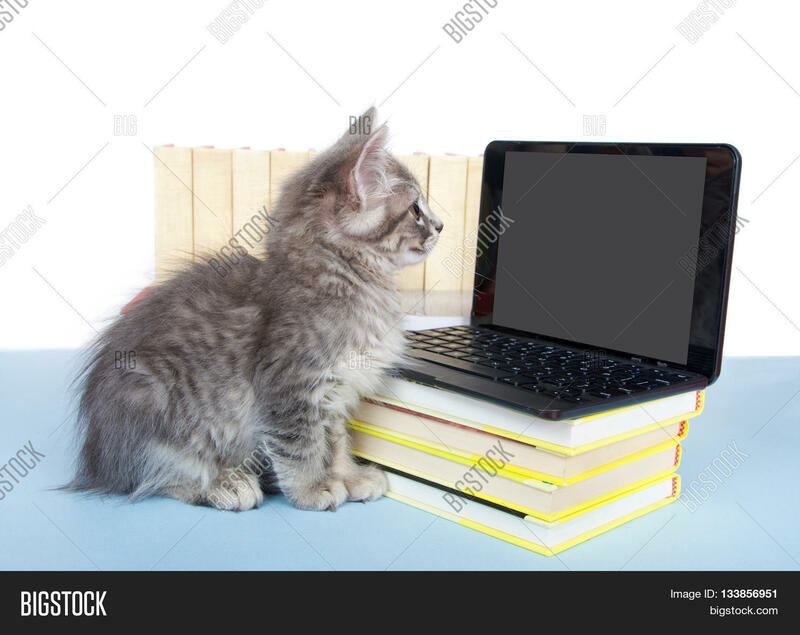 Piles of books next to and under computer. Back to school.